Watch this car cartoon for kids and see the bad Monster Truck place a dynamite on the Tow Truck. In this video, you also get to see the chaos that the soda bottles caused when the Ambulance accidentally bumped into the Garbage Truck. Plus the Fire Truck double in size, the Police Car and Race Car get stuck together, and the Monster Truck get stuck in a hole in this video. 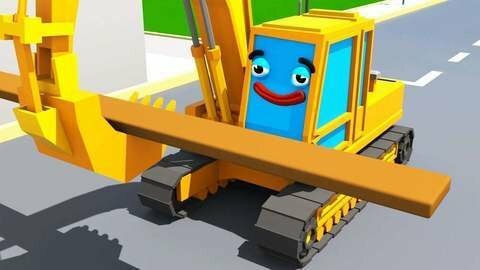 If you enjoyed this video, then head over to SeeZisKids.com to find other 3D car cartoons.